Pretty much everyone knows that bar charts are a great way to visualize your data. Reason 1: everyone understands them starting in grade school. People know how bar graphs work. Reason 2: everyone can quickly estimate values to spot check the numbers displayed in the bar chart. You have probably created bar charts on paper or even in Excel. 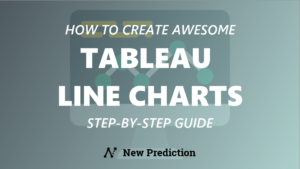 If you are just getting started with Tableau then creating bar charts is a great way to get familiar with the tool as a beginner. 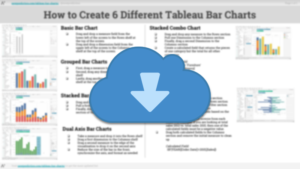 There are a few types of Tableau bar charts. This guide covers the best ones. If you’re wondering, measures are just things that can be counted. Dimensions are used to group those things. For example, “Sales” is something that can be counted and “Category” is one way that we can view sales. If you want to compare sales across multiple dimensions (like sales by customer segment and order year, as you see below) then you definitely want a grouped bar chart. Viewing your measure by two dimensions creates the grouping or clustered bar chart view. Pro tip: add your second dimension to the Color section of the marks card so it’s easier to understand the data. Stacked bar charts are the best way to show how the individual pieces contribute to the total. For example, if you want to show sales data by categories in addition to total sales you can build a stacked bar chart to show all of that in one easy-to-read view. You can add multiple dimensions for a stacked bar chart but it’s best to stick with just a few for one visualization to keep it simple. Dual axis bar charts (also known as bullet charts) are a great way to compare two different measures with just one dimension. For example, if you wanted to compare both sales data and profit data against the same time period, you can use a dual axis bar chart to show that. Dual axis bar charts are a great way to show progress against a goal. Make the first measure the goal and the second measure the actual value and you have a quick gauge to see where you stand against a target. Stacked combo charts are a combination of a stacked bar chart and a grouped bar chart (both are covered earlier in this guide). These can be useful for showing how pieces in one category or group compare against the whole and also against other categories. It’s a good way to show some context without overwhelming the viewer with too much detail. Create a calculated field that returns the pieces of one category but the total for all other categories. Add your calculated field to the Color section on the Marks card to highlight the differences. This bar chart style takes a little more skill to build but it’s a great way to compare the difference of one measure between two dimensions. For example, you can use a diverging bar chart in Tableau to show the difference in sales from one year to the next. 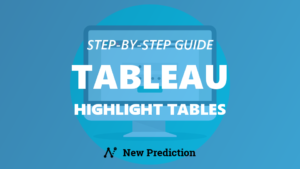 Create two new calculated fields based on the measure from Step 1 above. For example: if you are looking at total sales 2012 vs. total sales 2015, then one of the calculated fields must be a negative value. 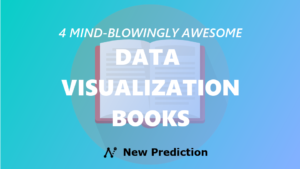 This is a good standalone visualization but not a great choice as part of a larger dashboard since there’s a lot of processing involved for the viewer to compare all of the data points.